A grand, attended lobby and beautifully designed facade make The Heathcote both luxurious and welcoming.  The Heathcote offers a fantastic rental opportunity for those seeking a lavish residential experience in a meticulously designed home, with spacious open concept floor plans, soaring ceiling heights, gas fireplaces, and remarkable details throughout. Amply wired for sound and all of your tech needs. The spa-like bathrooms feature soaking tubs, rain showers and dual-sink vanities. Sip, sizzle, salut! Stunning kitchens feature high-end custom cabinetry, beautiful stone countertops, center islands, Thermador appliances and wine refrigerators. Open to the generous dining area, and entire living space....perfect for entertaining! Ah, breathe in the fresh air. At The Heathcote, all units have been designed to feature outdoor terraces, and the penthouse units can accommodate full outdoor kitchens. Extend your living space outdoors this winter, and enjoy your hot coco al fresco!